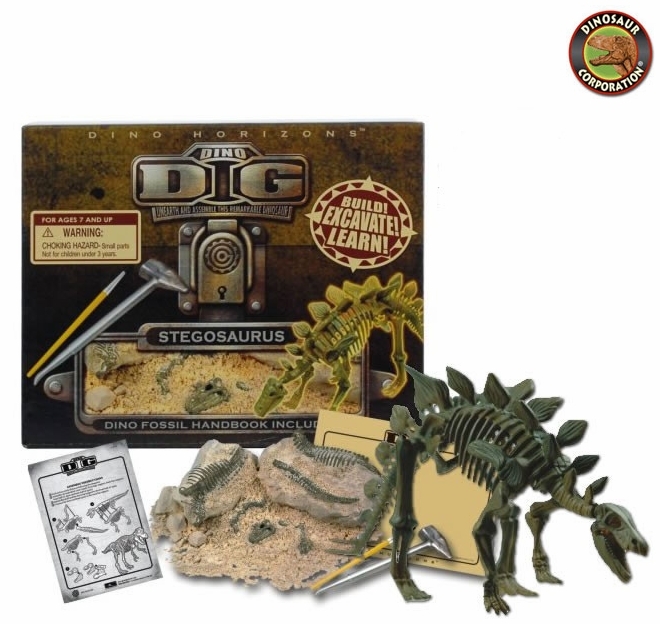 Kids love to discover Stegosaurus fossil skeleton in this educational dinosaur excavation dig kit. Dig up and assemble a Stegosaurus Kit includes a reconstructed dinosaur fossil, digging site, tools, dino fossil handbook and assembly instructions. 7" (18cm) x 5.75" (15cm) x 1.75" (4.5cm).